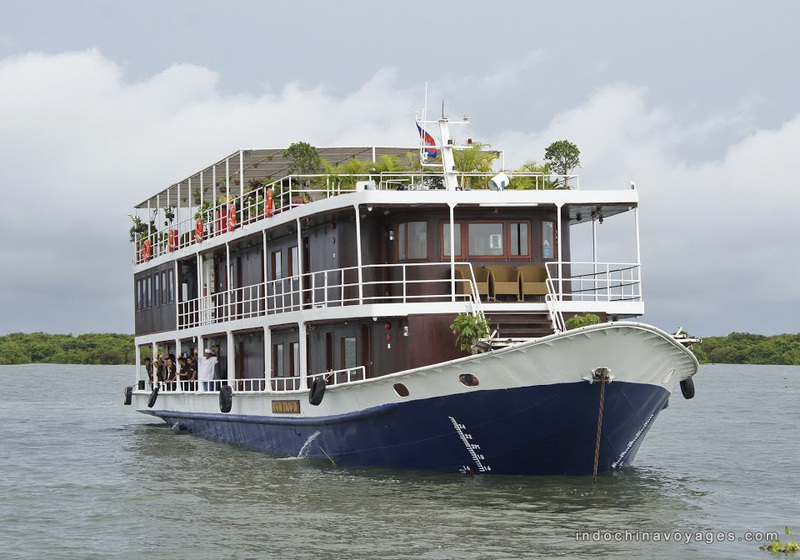 Great travel & holiday to Cambodia can hardly resist if you are on a cruise trip from Siem Riep to Saigon cruise. 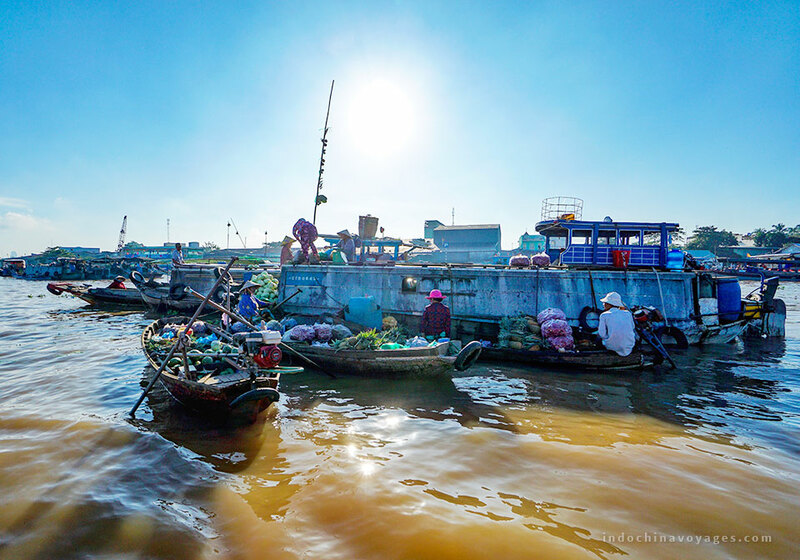 All is the feature in our 8 days cruise from Siem Riep to Saigon, promising a variety of activities on and off the board. Check with our cruise expert soon to get the itinerary verified and update. We gather at the FCC for the transfer to Phnom Krom, the Siem Reap pier. Transfer by local boats to the ship. 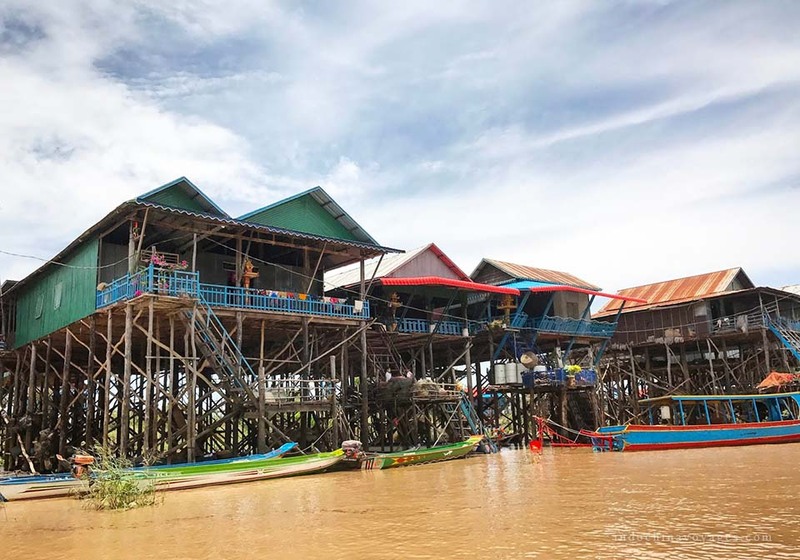 When water levels are too low (sometimes between mid-December and August) it may not be possible to embark at the pier in Siem Reap. Alternatively, you will be transferred from Siem Reap to Koh Chen by air-conditioned bus (5-6 hours) where you will embark at approximately 6.30pm. We are served breakfast on board before we visit Chnok Tru where we will tour a floating village. 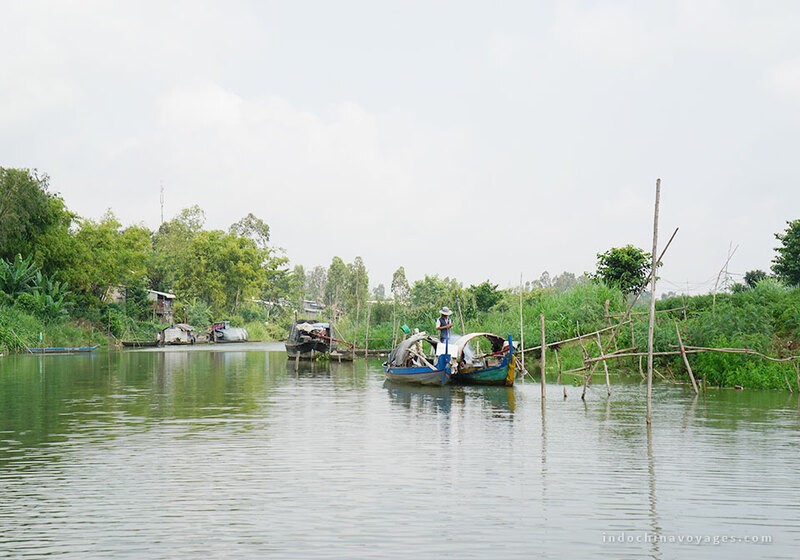 Here, an entire village – churches, houses and schools – sits merrily on stilts in the water. We return to Toum Tiou II before setting sail for Kampong Chhnang. After breakfast, we head off to Kampong Chhnang. Kampong Chhnang is renown for its fine clay pottery. 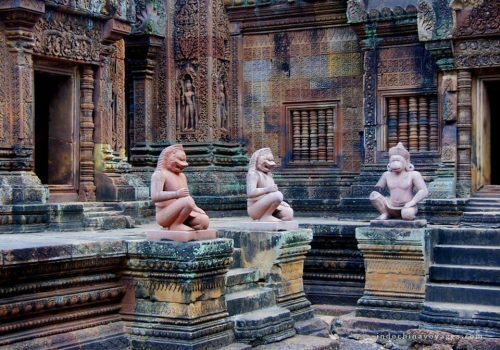 In fact, its name in Khmer means Port of Pottery. 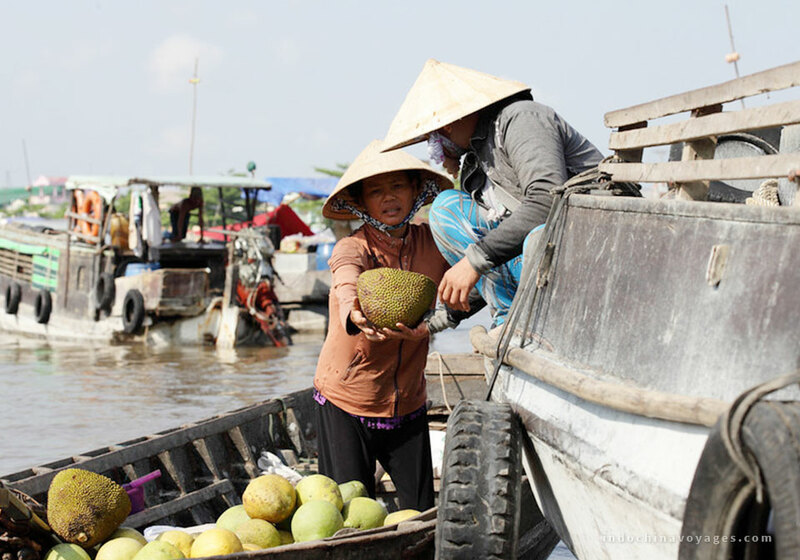 Kampong Chhnang is a tranquil province lined with sugar-palm trees and paddy fields which disappear into the horizon in delightful puffs of gold and green. We return to Toum Tiou II. We cruise to the spectacular Wat Kampong Tralach Leu pagoda at Kampong Tralach. We return to Toum Tiou II. Dinner is served and the cruise ship moors overnight. Breakfast is served. We cruise to the spectacular Wat Kampong Tralach Leu pagoda at Kampong Tralach. Lunch is served on board. 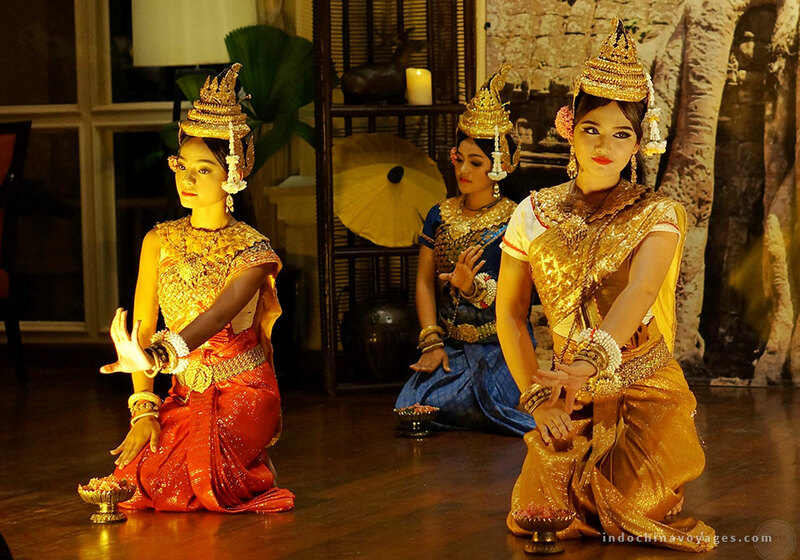 During the long cruise, be entertained by the graceful dancers of the traditional APSARA” show. We return to the cruise ship. The Toum Tiou II leaves for Phnom Penh, the bustling capital of Cambodia. Guests are free to explore this erstwhile Pearl of the East for the balance of the day. Breakfast is served. 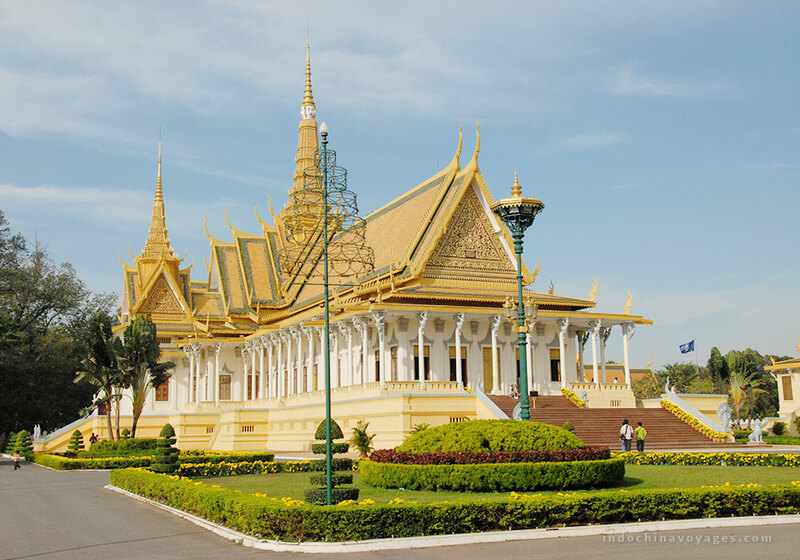 We visit the Royal Palace, Silver Pagoda and Russian Market. We return to the Toum Tiou II. Lunch is served on board. It is now free and easy leisure time. We suggest that you visit the notorious Toul Sleng torture centre. We return to Toum Tiou. Toum Tiou II leaves at the break of dawn for the Kaam Samnar border (Vietnamese border). Breakfast is served. We arrive at the check-point. After formalities, we depart for Sa Dec. Dinner is server on board. The vessel moors overnight. After breakfast, local boats are sent to the Toum Tiou to pick you up for a delightful cruise around Sa Dec. We return to Toum Tiou II. 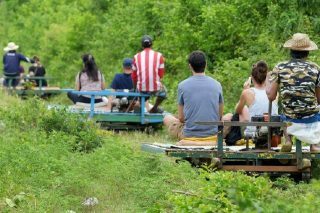 After lunch, we cruise to Vinh Long- a brick and pottery factory and the Binh Hoa Phuoc Islet Nursery of Fruit Trees. We visit a typical local dwelling and a show room of traditional farming tools. Vinh Long – Vietnamese for Majestic Dragon- sits merrily in the middle of the delta, protected by the two arms of the Mekong.The soil of Vinh Long is enriched by silt deposits, making it ideal for growing mandarins and other citrus fruits. Life here centers on water. 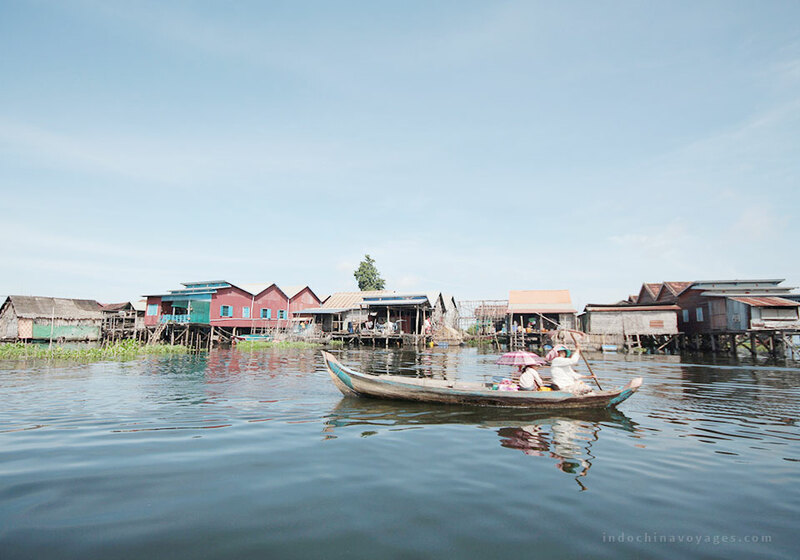 Houses are hoisted precariously on stilts that are planted onto the banks of the river. Hawkers peddle knick knacks from boats. Hundreds of small boats travel the river daily. The unbridled warmth of the locals makes this a destination par excellence. Toum Tiou II cruises towards Cai Be for a short panoramic. We, then, sail to My Tho where we moor overnight. After breakfast, local boats are sent to the Toum Tiou to pick you up for a delightful cruise around Sa After breakfast, local boats are sent to the Toum Tiou II for a short transfer to the mainland and a short panoramic tour of My Tho. My Tho – which means fragrant herb in Vietnamese – draws thousands of tourists who are eager to embrace the untouched beauty of the Delta. It is a prosperous city of about 100,000 inhabitants, famous for its myriad fruit orchards, gardens and vast rice fields. The climate is warm and pleasant throughout the year. The surrounding countryside is home to one of the most luxuriant gardens of Vietnam, encircled by coconut palms and banana and mango trees. 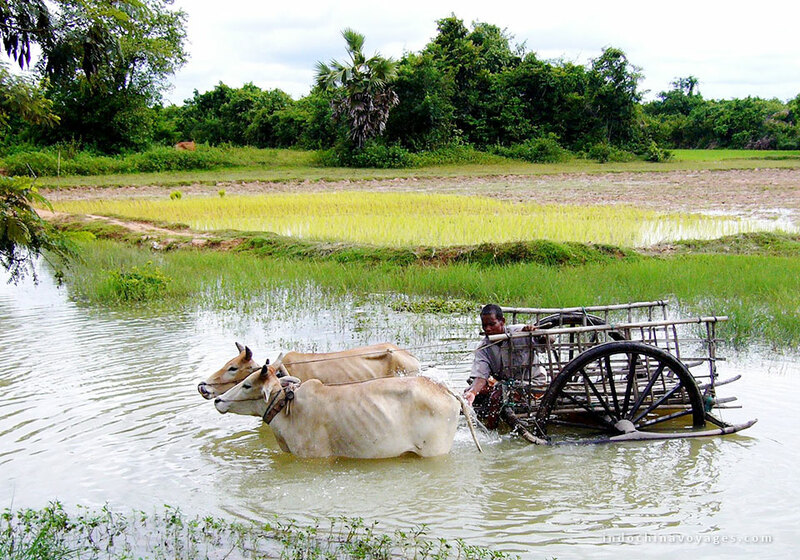 We return to the Toum Tiou II and we then cruise towards Saigon. A sumptuous farewell dinner is served and the Toum Tiou II moors overnight.